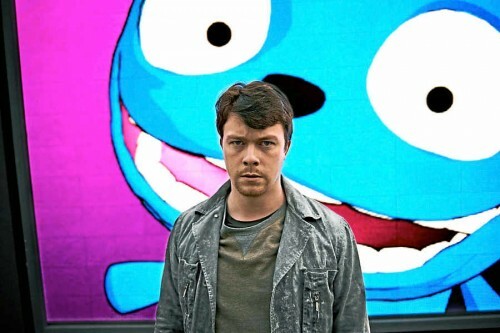 The last episode of Charlie Brooker’s Black Mirror aired on Monday night and we’re sad to say we were not completely bowled over by his latest offering. ‘The Waldo Moment’ launched a scathing attack against politics and by extension, the general voting public. This episode had a lot more comedic value than other episodes but at times was too obvious and clumsy. A cartoon blue bear was used to undermine and ridicule politicians under the premise of being a children’s cartoon and as the idea grew, the team behind Waldo decided to put him up for election and from the outset, the public were completely on board with this novel idea. The comedian behind Waldo (Dan Rigby) becomes increasingly detached with the cartoon proclaiming, ‘He’s not real! He doesn’t stand for anything!’ and relinquishes all responsibility for the character. The beauty of Black Mirror is that it contains ideas and concepts that at first seem abstract but are not too far out of our reach. In light of the Italian elections, the idea of a novelty character turning into a genuine candidate is all too real. It was powerful to see the level to which the populace was completely disenfranchised with politics and the core values which should be considered when voting, much of which had been abandoned. Judging by the twitter feedback from the episode, the majority of viewers agreed, with a worrying number of people sending tweets with #votewaldo. Perhaps they missed the point completely.